Vermont Edition continues a series of one-on-one interviews with candidates for statewide office with incumbent Governor Jim Douglas. Douglas has campaigned on jobs and a business-friendly climate, so how does he approach the current economic crisis? 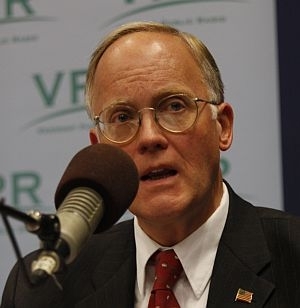 VPR’s Bob Kinzel leads the discussion on the key issues in the governor’s race.